Lottie is an animation library by AirBnb that makes it super simple to add animation in any native app – web and mobile. It helps bridge the gap from designers designing an animation to developers implementing it in the app. In this post, we will see how we can add animations to enhance our Xamarin.Forms app experience with minimal effort (the process is similar for Native apps as well). Control Templates are a great way to customize your app’s view with themes and custom layouts. You can also use them to wrap your content and get a beautiful experience for your users. In this post, we will see how to use Control Templates to create custom layouts. Xamarin.Forms is great. But, every now and then, it falls short on some basic modern controls e.g checkbox, radio buttons, cards, etc. 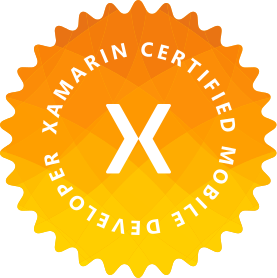 Luckily, Xamarin community is large and very engaged with the platform. You can find plethora of custom controls or blogs on how to build custom controls for your project needs. When working on an app that relies on getting data from an API, it is crucial to make the waiting and loading experience as seamless as possible for the user – like Facebook, Amazon, LinkedIn apps do. Unresponsive app will most likely be uninstalled by the user and you can say goodbye to your customers, revenue, user base, whatever it is you made the app for. One of the biggest issue API reliant apps face is unreliable network connectivity. As users move around with their mobile devices, they are bound to run into poor or dropped network connectivity issues. We must have a strategy around transient faults and network issues, and that’s where Polly comes to the rescue. Code snippets are a hidden gem in Visual Studio that most of us do not pay much attention to. Utilizing them correctly can increase productivity when we have a lot to code. In Visual Studio, code snippets are available for multiple programming languages e.g. C#, F#, XML, HTML, CSS, Python, etc. They are extremely useful when we have a bunch of boiler plate code for our properties, constructors, bindable properties, etc. Code snippets can be a huge topic, but in this post, I will list some of the XAML and C# code snippets useful when developing Xamarin.Forms mobile applications. In this post, we will learn how to create a card view with child views using custom layouts. Creating a custom card unifies the experience for the user, gives us more control on the design of the app and speeds up the cross-platform UI/UX workflows. It is easy to get a simple, yet flexible, card introduced in your app. Update: Get this card as part of IntelliAbb Xamarin Controls NuGet package. When using a container for dependency injection in your Xamarin.Forms app, you may find yourself trying to use a plugin or library that is static that you want to register with your container. Having statics in our code makes it hard to test and causes coupling. In this post, I will demonstrate using Prism.Forms how to inject a static plugin or library that may or may not expose an abstraction.